NICOLAI’s interpretation of the modern trail bike is named the SATURN 14. The SATURN 14 inspires the rider with its modern and balanced GEOLUTION TRAIL geometry: perfect for a lap from your house, around a trail centre, or a 5-day XC stage race. The GEOLUTION TRAIL geometry is best described in three words: agile, stable and climb-friendly. Crashing ‘over the handlebars’ downhill, or front wheel lift going uphill are in the past, the SATURN 14 can do exactly what a trail bike has to do. With two possible wheel sizes, geometry adjustment and water bottle mounts, it is the most versatile NICOLAI trail bike we have ever built. 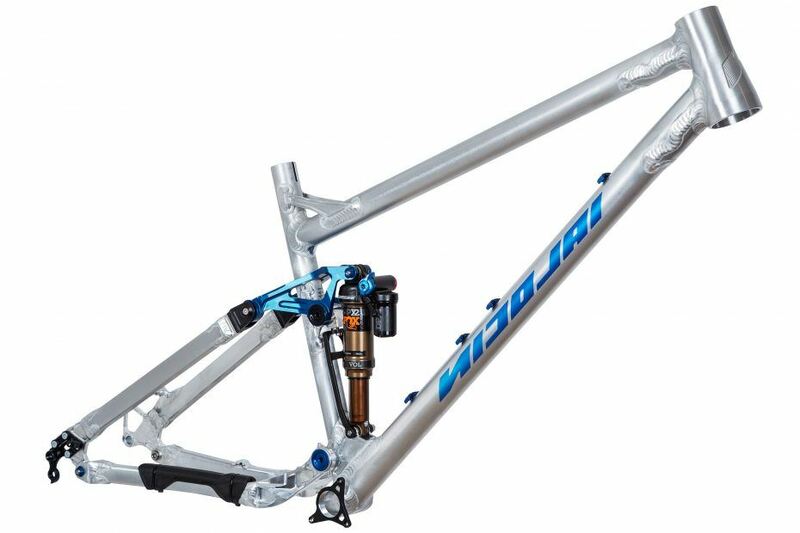 NICOLAI’s interpretation of the modern trail bike is named the SATURN 14. The SATURN 14 inspires the rider with its modern and balanced GEOLUTION TRAIL geometry: perfect for a lap from your house, around a trail centre, or a 5-day XC stage race. 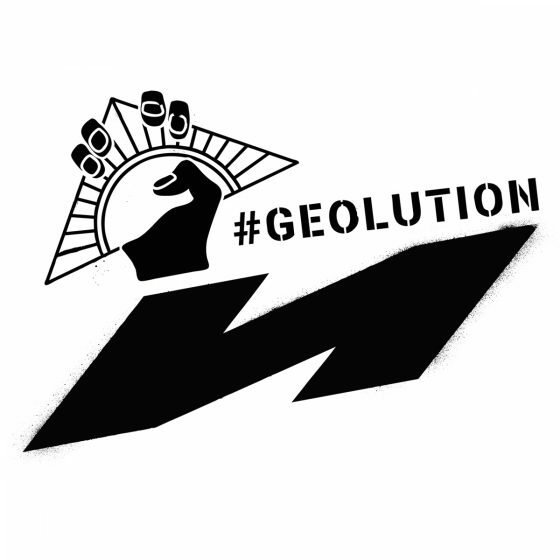 The GEOLUTION TRAIL geometry is best described in three words: agile, stable and climb-friendly. Crashing ‘over the handlebars’ downhill, or front wheel lift going uphill are in the past, the SATURN 14 can do exactly what a trail bike has to do. With two possible wheel sizes, geometry adjustment and water bottle mounts, it is the most versatile NICOLAI trail bike we have ever built. A high-quality 7000 aluminium tube set, FEM-optimised CNC milled parts made of high-performance 7068 aluminium alloy and the carefully drawn welds. 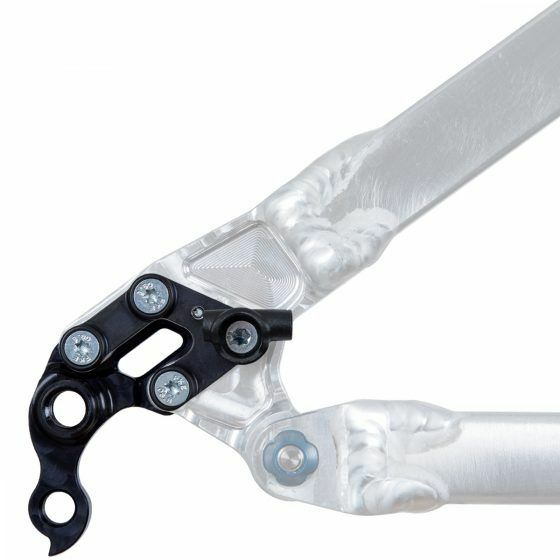 All of these details together result in a frame with highest rigidity, durability and low weight. 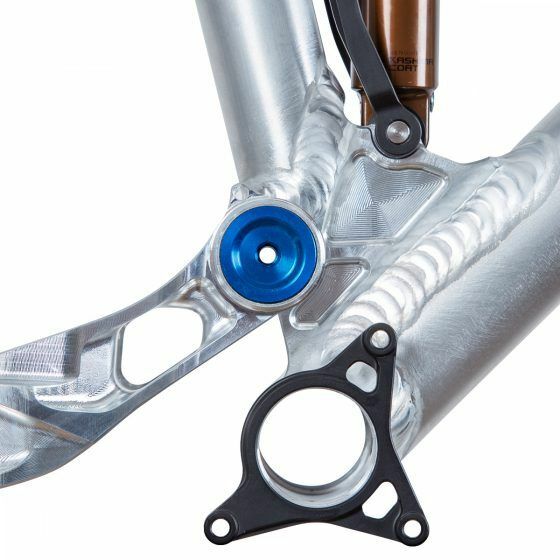 The Boost rear triangle brings additional stiffness and tyre freedom, while the elaborately 4-way sealed ball bearings at all pivot points ensure a sensitive response and minimum maintenance. Should a bearing service be required after intensive use, it can also be carried out by an experienced home-mechanic thanks to the service-friendly design. The SATURN 14 is finalised with space for a full-size bottle cage, ISCG splines to mount a chain guide or bash guard, and our full external routing. 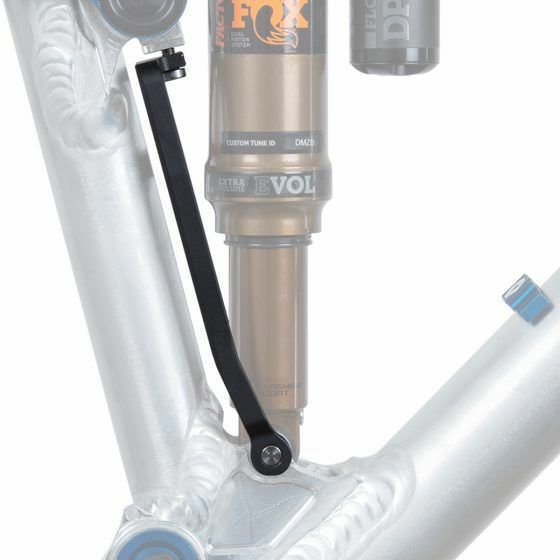 As it is designed as a lightweight machine, we also use titanium bolts at the Horst Link connection, and for shock mounts, this saves a few more grams and looks cool as a side-effect. The GEOLUTION TRAIL geometry developed by us is another unique selling point of the SATURN 14. For us, “Long, Low & Slack” is not just a trend, but a philosophy that has really come to a peak. GEOLUTION improves almost every aspect of performance on the bike – uphill as well as downhill. An experience for every rider, from experts to beginners. Anyone who has ever fought a steep trail sitting on the saddle nose, tense and cramped, knows how important optimum weight distribution is for the climbing ability of a bike. Our GEOLUTION bikes have for good reason a steeper seat angle and longer chainstays than usual. This is the only way to keep enough pressure on the front wheel. But even downhill and on technical trails, the SATURN 14 goes beyond what a trail bike can usually do. Every aspect of the bike, from the slack steering angle, the large reach with its short stem and of course the carefully balanced weight distribution, provides the unique GEOLUTION handling and riding experience. Believe us, we have tried out many things and we are sure anybody who has not experienced the safety and stability, but also agility that the SATURN 14 conveys, will be amazed to see how difficult passages are suddenly playful and possible, you won’t want to ride anything else. 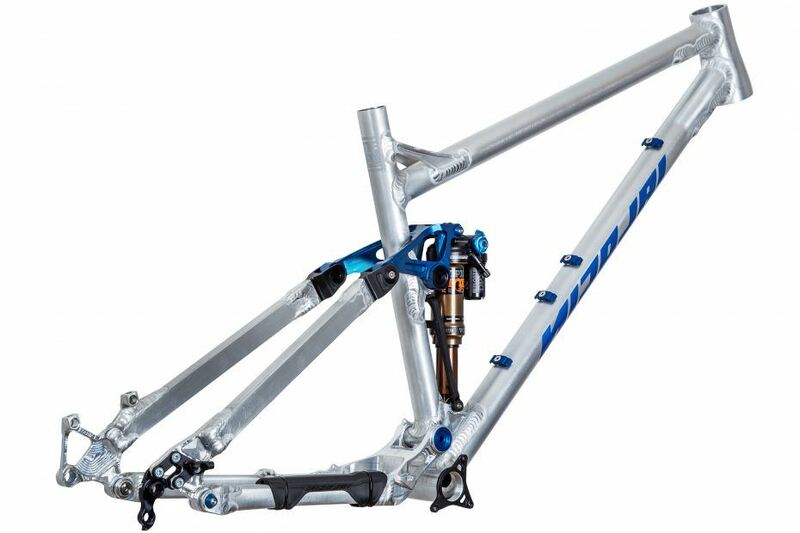 The SATURN 14 frame is the basis for a 27.5″ or 29″ setup. 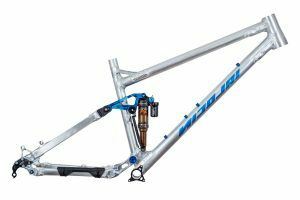 The 29″ frame can be easily converted to 27.5″ by using a deeper lower headset cup from CANE CREEK or RESET RACING and longer Compression Strut Mutators. With 29″ wheels and a metric 210x50mm damper, the rear suspension gives 130mm travel, with the smaller wheel size and a 210x55mm damper, 138mm travel is possible at the rear. In order to adapt the SATURN 14 even better to the needs, the frame can be adjusted further to the personal preferences with our Mutators. 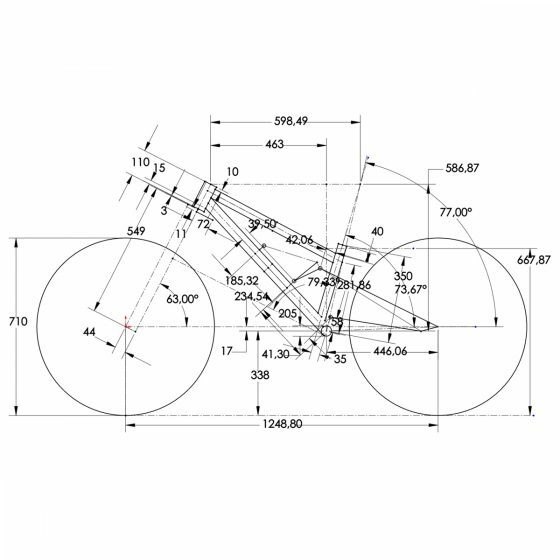 Steering angle too steep or bottom bracket too low? Simply change the screws, anything is possible. With a total of 5x frame sizes we are sure to have the right bike for every rider, whether a petite 1.60m biker or a 2-meter man. As with all NICOLAI frames, we offer complete individualisation. Choose from various powder coatings, anodised colours or the legendary raw look, plus colour accents of our “Extra Love” parts or Tailormade custom geometries – all options are available. The GEOLUTION TRAIL concept is less ‘extreme’ than the geometry found on the G1 enduro bike, but still years ahead of the average cross country racer. Fun, agile, fast, stable; characteristics that will leave you itching to get out for the next ride. 27.5”, 29”, or both ? Thanks to the Mutator chips located on the seat stay and lower headset cups to change the stack height, one SATURN 14 frame can be configured anyway you choose. Big wheels for big riders, small wheels for smaller riders, hybrid sizes for those who want the best of both worlds. 27.5”, 29”, both? 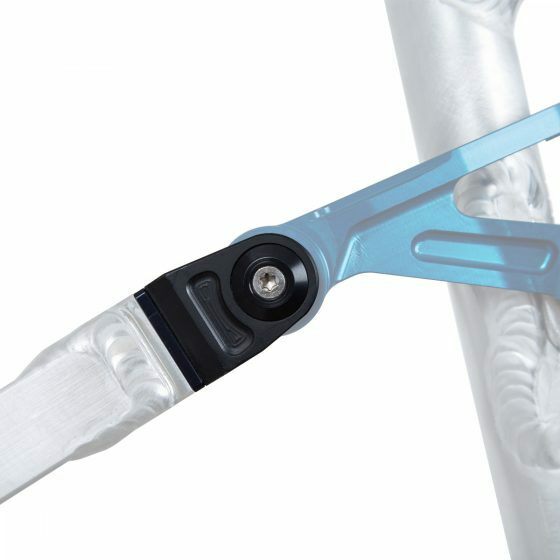 Thanks to the Mutator chips located on the seat stay and lower headset cups to change the stack height, one SATURN 14 frame can be configured anyway you choose. Big wheels for big riders, small wheels for smaller riders, hybrid sizes for those who want the best of both worlds: huge front wheel grip, fast speed generation from pumping, and unparalleled cornering response on unknown trails. The geometry chart shows our factory settings, but there are plenty of options if you know what you would like to customise. Have an idea but not sure which parts to choose? Get in touch, tell us what you would like, and we will provide the solution. Backpack, HipPack or classic bottle cage? The decision is yours. The SATURN offers space in all frame sizes from size S to size XXL for an easily accessible and protected bottle holder in the main frame triangle. 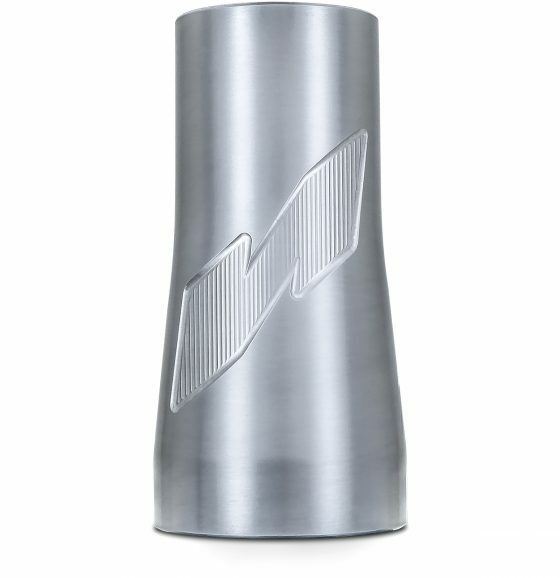 From now on we can also deliver your NICOLAI directly with the FIDLOCK drinking bottle. With the 0.6 litre TWIST bottle, Fidlock sets standards for the optimal function of a drinking bottle. 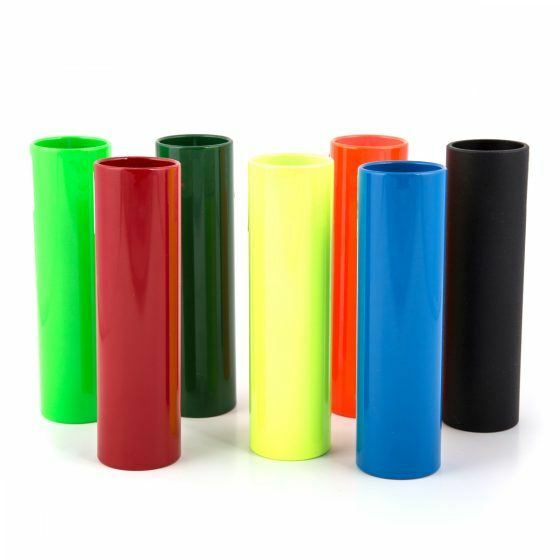 The bottle can be magnetically snapped into the down tube without an ugly plastic or wire holder with an intuitive rotary movement. Jumps and stone fields cannot harm the bottle. Rattle or lost bottles are the past. Topology optimization is a computer-based calculation method by which a favorable basic shape (topology) for components under mechanical load can be determined. This text from the textbook abstractly but aptly describes which processes we use to develop new components. In topology optimization, an algorithm calculates the optimized mass distribution in a component based on defined installation spaces, defined forces, material properties and component geometries. Thus, lighter and stiffer structures can be developed. However, these procedures are only a tool and one of many. However, the most important tool for an engineer is professional experience. 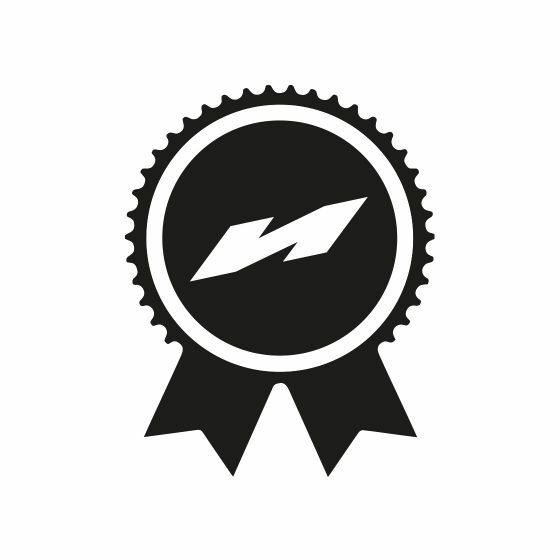 The combination of many years of professional experience and computer-based optimization software creates components that are second to none, both technically and optically. 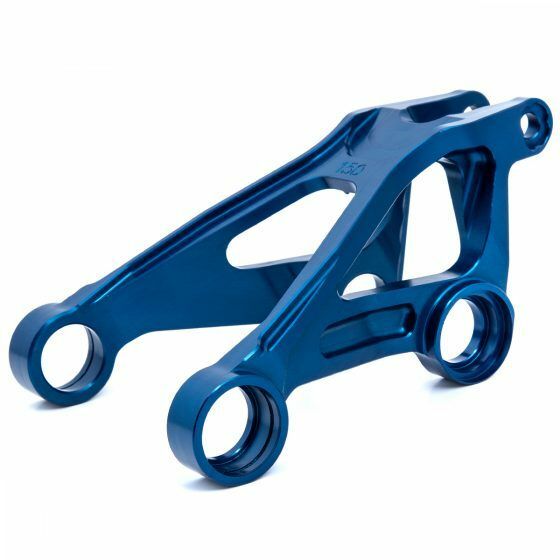 The tensile strength of 7020 compared to 6061 aluminium is about one third higher. The elasticity is about one fifth higher. 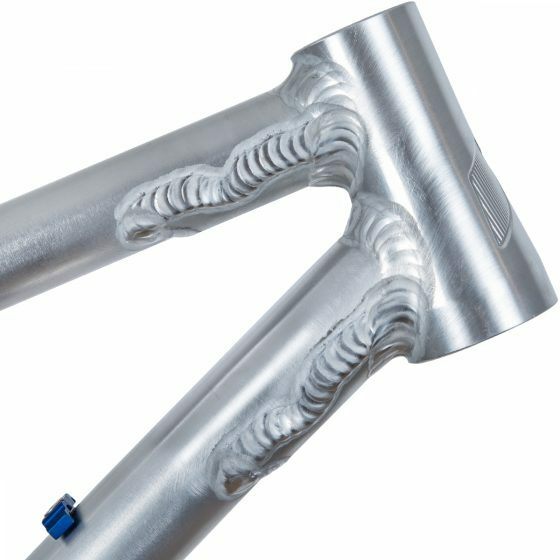 These properties, coupled with high quality welding, result in a bicycle frame that is far superior to the average in terms of durability. The manufacturing quality itself is not yet an added value for a customer. The following two added values “durability & precise driving characteristics”result from production quality. Only if the welds are welded deep into the root and have no notches, a bike frame can withstand the impacts from the ground for many years without breaking. Precise riding characteristics are achieved when the rear wheel is precisely straight to the front wheel and even a layman notices that an oblique bike rides strangely (but usually he thinks it’s because of his riding ability). Like all Nicolai bikes, customisation is key. 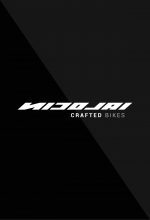 Choose from a frame only at €2,499 or complete builds starting from €6,499 with only the best parts from FOX, INTEND, HOPE, MAGURA, TUNE, CONTINENTAL, SRAM and LEVELNINE. After picking your favourite parts, all colourways can be customised, and as all of our processes are done in house, pick anything from 100% anodized black to every single component piece of the frame in a different colour – no limits.